Juventus host Inter on Friday night with the knowledge that a victory would almost put one hand on the Scudetto even at this early stage of the season. Juventus are [1.61] to come away with all three points, and their incredible consistency that season justifies that price. They are the best team in Italy by some distance. The game is being played on a Friday night because both teams are in Champions League action next week, with Juve looking to make sure of a Group win over Manchester United and Inter hoping to edge out Spurs into second place in their Group. I doubt that will be a distraction given the time that this match is being played and so both clubs can keep both eyes on the immediate prize. I can't disagree with the Match Odds market and so we'll have to look elsewhere for a bet. Only three goals have been scored in the last three meetings between these two in Turin, but that was when a very different Inter, who were very passive when they headed here. Now that they're playing with more confidence, I think that we might see Luciano Spalletti's team looking a little more proactive. When you consider that Inter have conceded six goals in their last two away games, you can build a case for goals at the Juventus Stadium on Friday night, and I think that both teams are capable of hurting each other. These are two of the top three goalscorers in the League this season, and for all the talk of how good they are defensively, we mustn't forget that. Juve came from behind to beat Napoli earlier in the season in the game that most closely resembles this one, and, even though the bet was costly for this column last week, I'm happy to recommend Over 3.5 Goals in this, the game of the season so far. I can see goals as well in the Sunday night game at San Siro, tempted though I am to tip Torino at [5.0] to cause an upset. Milan, though, are unbeaten against Torino in Serie A since 1985, and so a win for the visitors would seriously buck an historical trend, so I'll stay with the goals market. 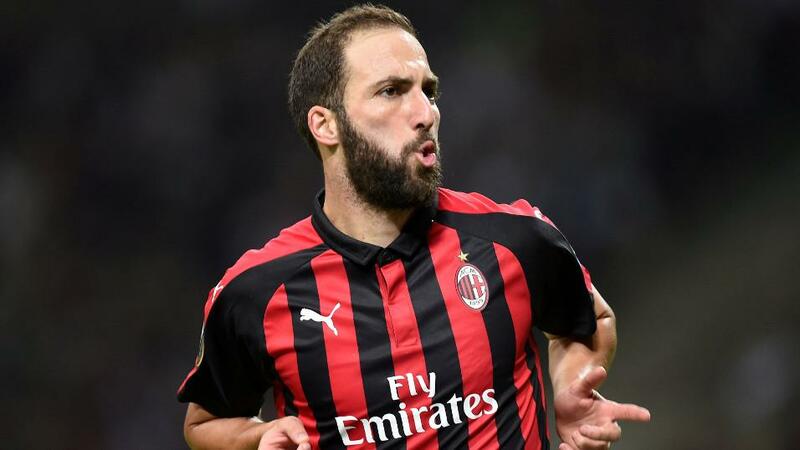 Milan have scored at least two goals in eight of their last nine Serie A home games, and even though they're playing a team which is unbeaten away from home this season, they'll be confident, as Gonzalo Higuain returns from suspension, that they can create chances. Higuain has scored seven in his ten Serie A games against the Granata, and will be keen to make up for his recent suspension. Torino drew their last away game 0-0 at Cagliari, but four of the six trips before that yielded at least four goals, and with Milan having kept only one clean sheet in their first 14 games, you have to feel that Iago Falque and Andrea Belotti can cause their makeshift back four some issues. Milan look very short at [1.92] against one of the most underrated teams in the League, and I may regret not laying them, but I feel that Over 3.5 Goals is the safer bet, given the Rossoneri's ability to produce unlikely performances. I know that I've been occasionally over enthusiastic about Sampdoria this season, but they look far too big for their trip to Lazio this weekend. Lazio were seriously disappointing as they were held at home by Chievo last week (bravo Chievo by the way), and now they need to bounce back at the Olimpico against a team that has won two games in a row, and has started to score goals again. Samp have now been on target in their last six games, and I like the way that they play under Marco Giampaolo. They're not always consistently successful, as they showed when I tipped them to stay within the Handicap at Roma at the start of last month, but Lazio are without a win now in four in all competitions, and there's a sense that they've gone off the boil. They've played nine home games now in all competitions this season, and only twice have they won by more than one goal. That last trip to the Olimpico is the only time that Samp have done worse than lose by a goal away from home this season, and I think that they're live contenders this weekend, and could even be worth a look at a huge [8.0]. Lazio are unbeaten against Samp here since 2005, but I wouldn't let that put you off, they're in a little bit of a rut here, and I think that Giampaolo's men can take advantage, at least to the tune of getting a draw.